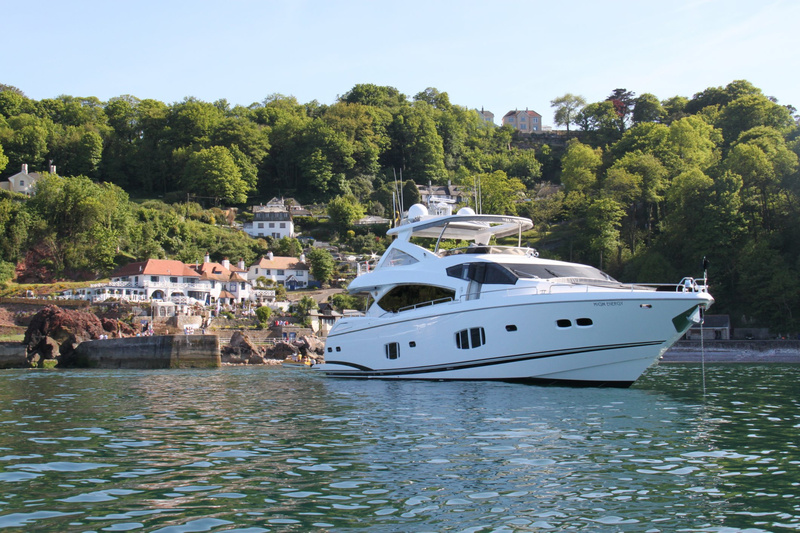 Beginning with her first season in 2010, High Energy is the largest charter vessel in the UK made by Sunseeker. 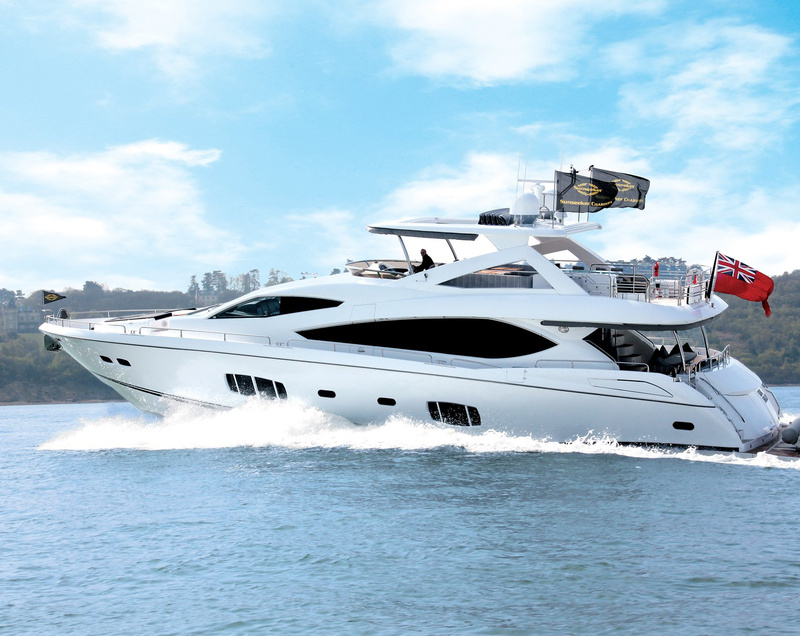 This Sunseeker 88 motor yacht has two decks superb for entertaining both indoors and al fresco. 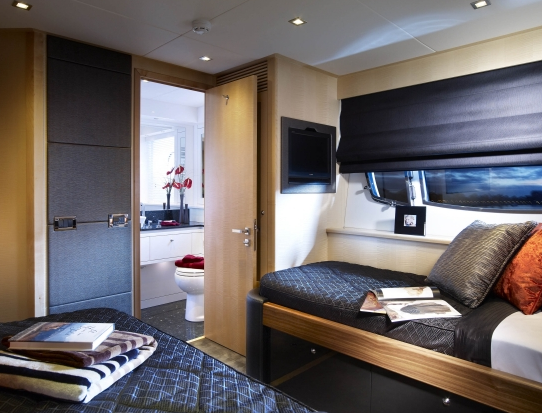 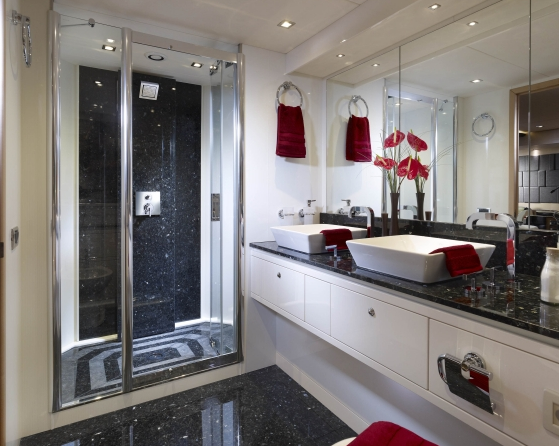 The 26 metre High Energy sleeps eight guests in four cabins and has a day capacity of 12 guest and 35 when moored. Two spacious decks provide space for perfect entertainment, with the saloon deck supplying a spacious open plan dining and seating area, which opens up into a sizable aft cockpit. 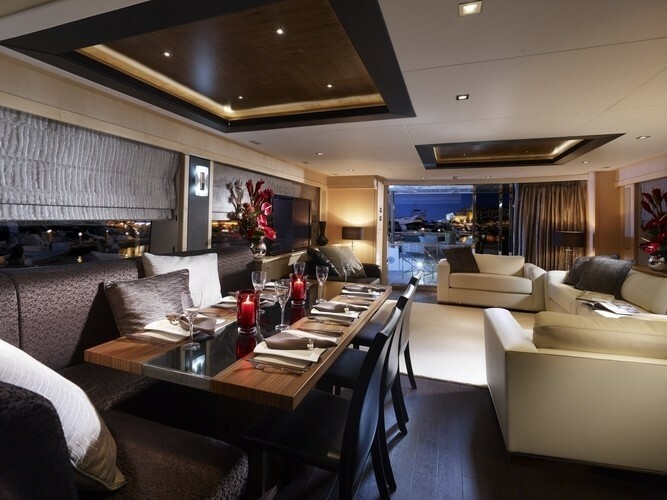 This area can be set up for refreshing al fresco dining or simply used as comfortable seating area. 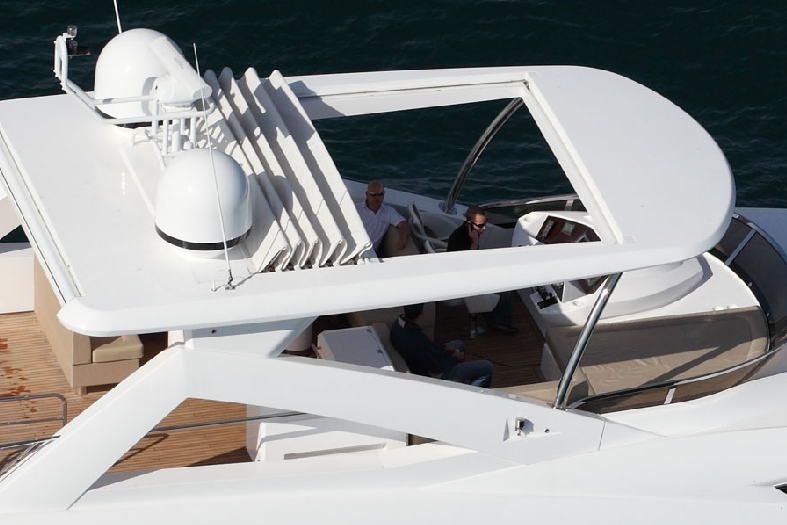 The second area providing a space for entertainment and leisure purpose is the large, spacious flybridge. 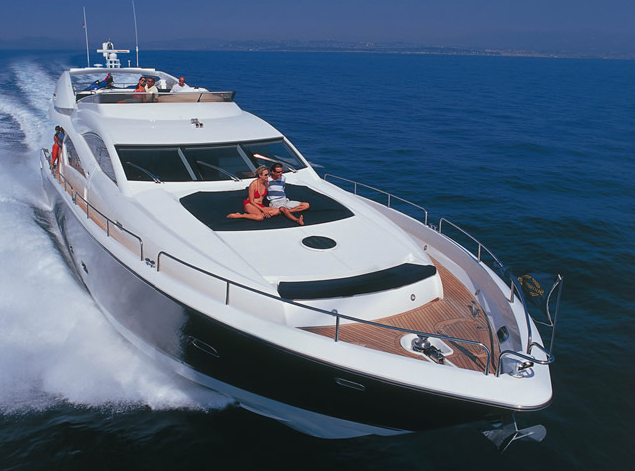 It has the advantage of an option of hard top roof, to cover the main body and sides of the flybridge. 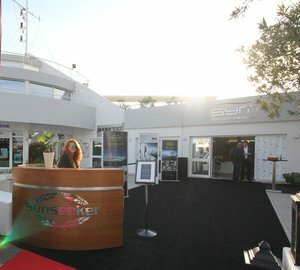 The combination of these two decks provides the perfect venue to entertain guests, family, friends or colleagues. 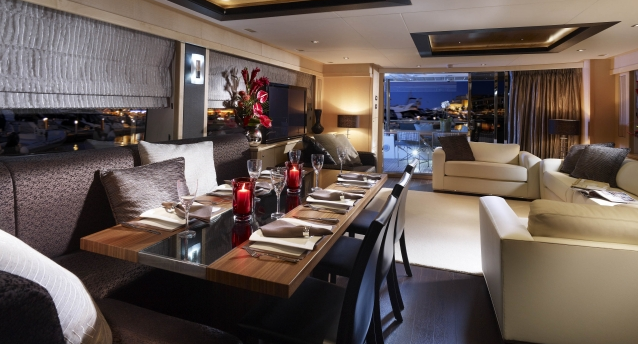 The Luxury Motor Yacht HIGH ENERGY provides accommodation for eight guests in four cabins. 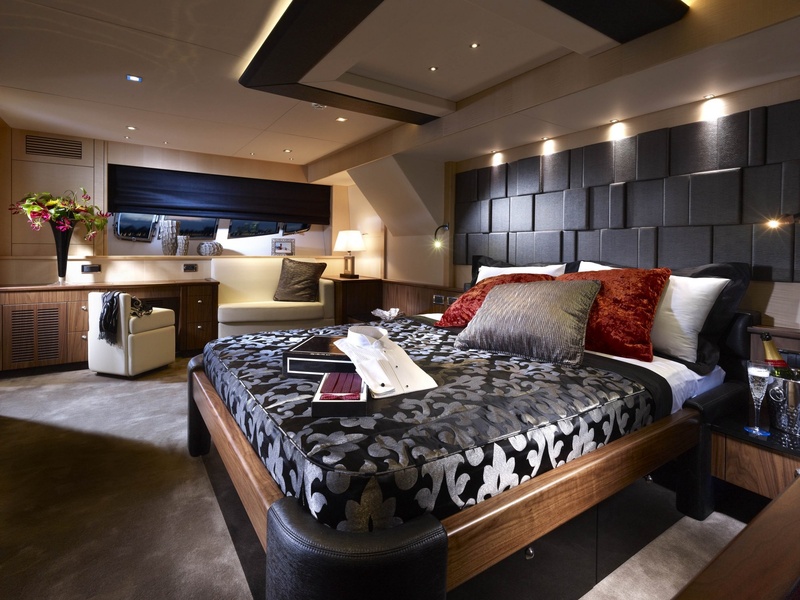 Master suite is situated amidships. 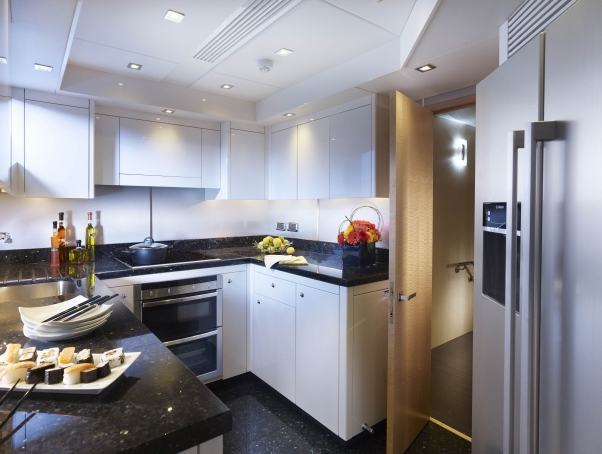 VIP stateroom forward and there are also two twin/double cabins, one starboard and one port. 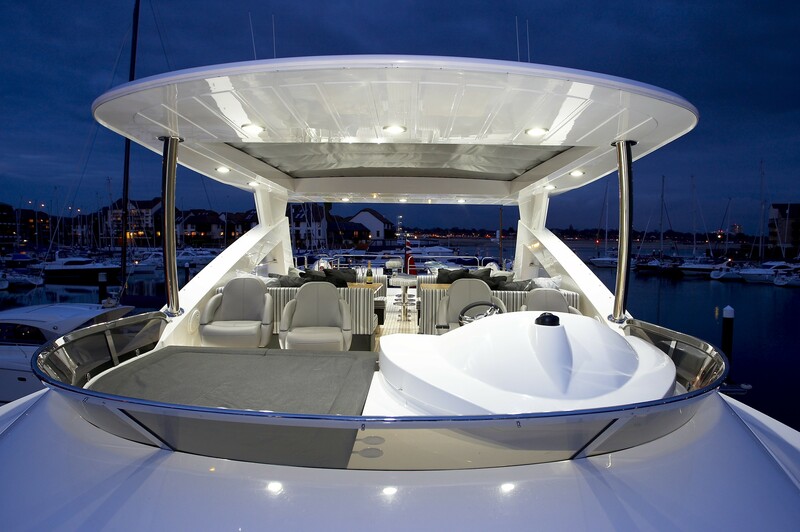 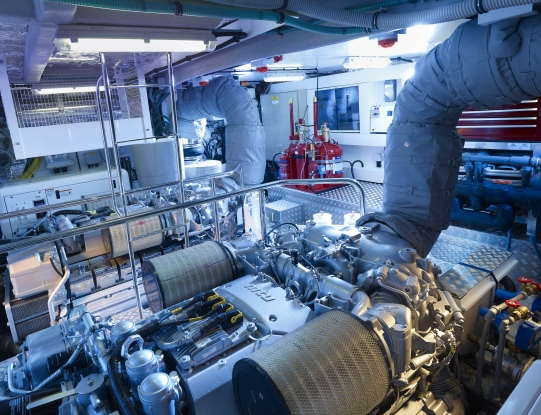 Sunseeker 88 High Energy is based in Southampton, UK. 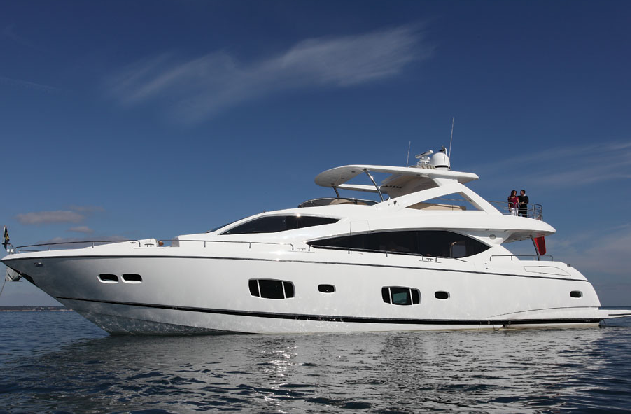 Although this charter yacht is ideal for corporate and private charters, available for longer periods to cruise the stunning South Coast, West Country, Isles of Scilly, Channel Islands and Saint Malo. 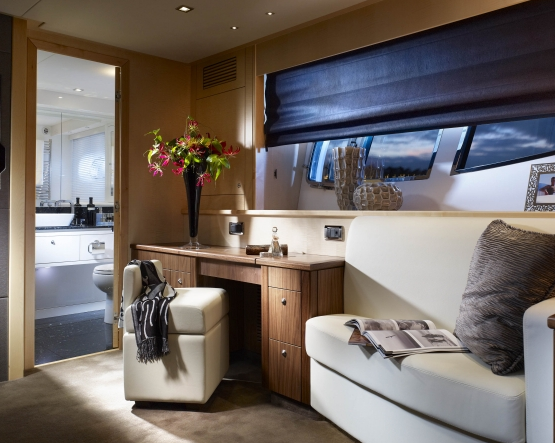 Motor yacht High Energy will consider most Northern European destinations. 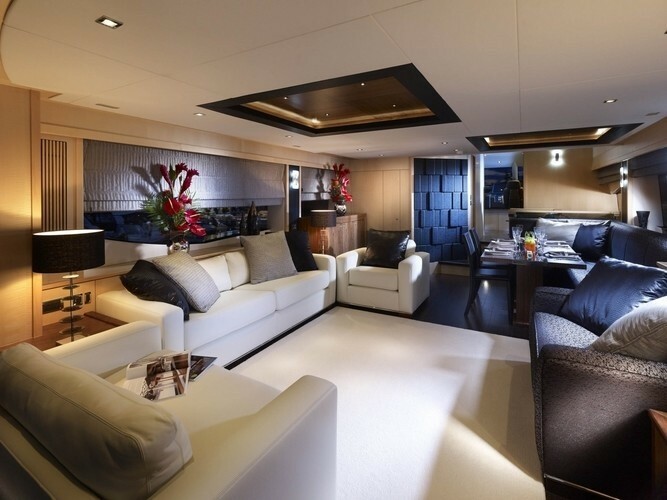 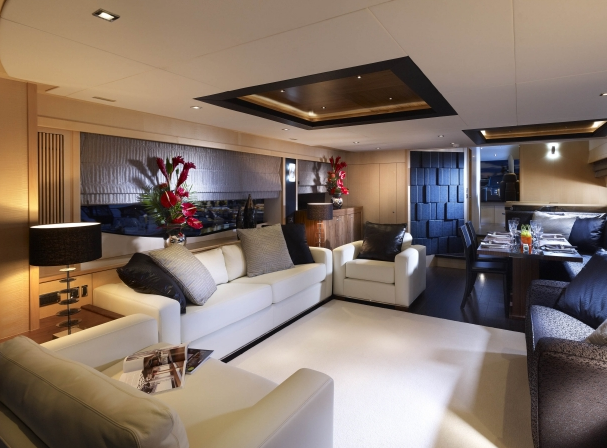 The Luxury Motor Yacht HIGH ENERGY provides accommodation for eight guest in four cabins. 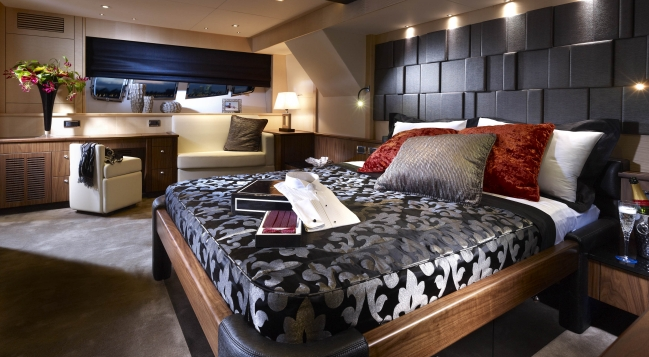 Master suite is situated amidships. 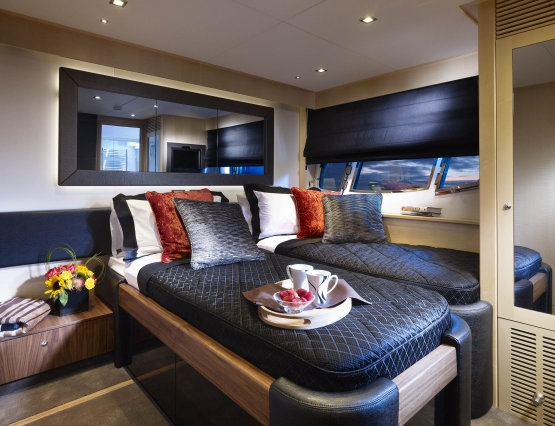 VIP stateroom forward and there are also two twin/double cabins, one starboard and one port. 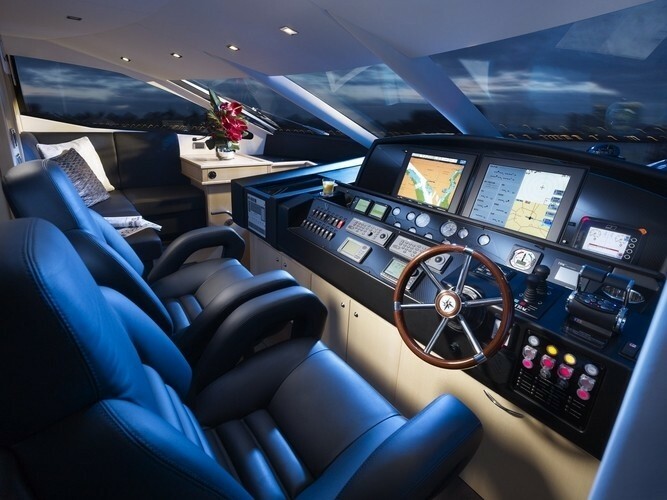 Zodiac Yachtline 420 DL Tender Entertainment includes a flatscreen TV in saloon, laptop connection to the TV, flatscreen TV in all cabins, CD/DVD/RADIO, flatscreen TV/DVD on flybridge, iPod docking.